Providing stress-relief activities on campus helps college students do their best during finals week. Try it out: Want to create a finals week wellness event? Activate your 30-day free trial. 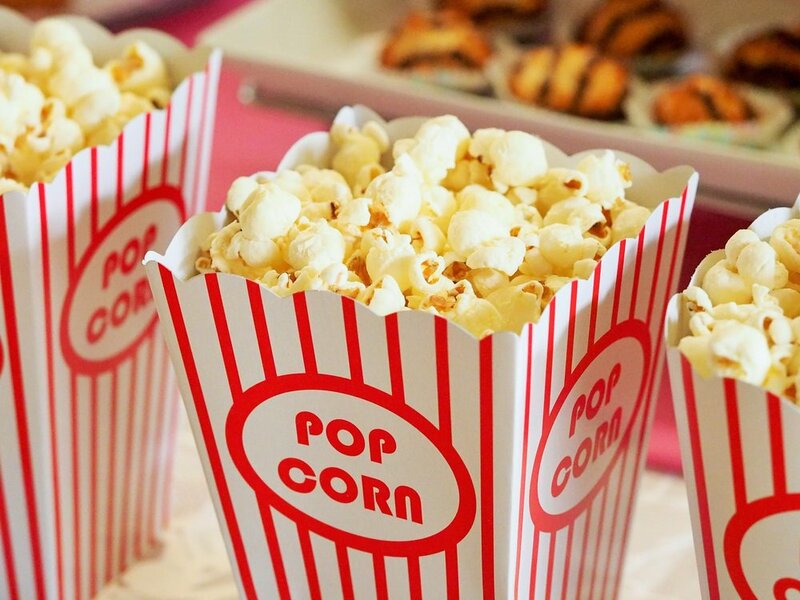 Finals week inspiration: Set up a pinterest & popcorn event on your campus. Many students find themselves mentally and physically overworked during final exams, and they don't always know how to deal with increased stress levels. Shifting the focus from deadlines, papers and cumulative exams to a creative project in a friendly, welcoming, environment is a great way to relieve stress. Take a break from studying to channel your inner artist. Gathering with friends (who are most likely just as stressed as you are) for some crafting fun is rejuvenating, stress-relieving and fun! Try it out: Create your group and Pinterest & Popcorn event. PJs & Pancakes after dark! Nothing helps you to relax like comfort food. And there's not much as comforting as a warm breakfast... any time of day (and especially during the middle of a late night study session). Take a break from your studies and get warm and cozy with fellow classmates for a hot buffet breakfast. It's amazing what eating your favorite comfort foods can do for your energy and morale! In literature, when the protagonist is stressed, inevitably someone will make a pot of tea. Why? Because a hot cup of tea is the universal comfort drink! Add some scrumptious fresh-baked, grab & go pastries (such as cookies, scones, tea sandwiches or mini muffins) to make tea time with classmates a delicious and effective stress reliever. Finals week is one of the busiest on campus, and many students barely have time to sit still. Tea Time offers a nice break from the day's demands (and a natural energy booster), making it a really fun way to relax and socialize during finals. Stories, laughter and lots of good conversations with staff and friends will instantly put students in a better mood. Want to do a tea time event? Create your group and event now. Just pick a theme, line up a panel of judges (or let students and staff vote for their favorites), arrange prizes and get creative! Check out some imaginative ideas here. Judges should look for outstanding door decorations in a variety of categories such as Best Theme, Most Spirited, Best Use of School Colors, Most Creative and Best Overall. Want to set up a friendly, festive + creative competition on your campus? Create your own door-decorating event now. Opt outside: Walk the line and roast up a sweet snack. Outdoor activities are a great way to destress during finals! Feel like you're living in the library? One law student we know used to keep a pair of house slippers under a desk during first-year exams! Whether you're a freshman or a senior or a grad student, finals week means you'll often be found studying inside for hours on end (along with hundreds of other classmates), and accordingly, library over-crowding can sometimes result in cabin fever or claustrophobia. Getting outside is important at this demanding time to get all the excess energy out, especially when you're nervous. Fresh air and sun will help clear your head and take your mind off your studies and exams, leaving you energized and refreshed. Games and activities like dodgeball, capture the flag and slacklining provide great opportunities to get the heart rate up, blow off steam, socialize and meet new friends. Plus, delicious treats (campfire + s'mores, anyone?) will help you and your friends unwind before the next exam. Try it out: Set up a campfire event for your students to destress after finals. Create your first group and event! Looking for stress-relieving activities for college students? create an art & wellness event on your campus. Help students channel their inner artists with Crayola, creativity and hot cocoa (for the fall semester) or iced lemonade (in the spring). Want to set up a crafternoon event on your campus? Create your first group and event now. Exams can be extremely stressful, both physically and mentally. For many people, getting a massage is one of the most effective ways to relieve mental and physical stress. Massage helps to clear your mind, improves focus, concentration and well-being. It can also help alleviate pain and stiffness in your neck, back and joints. Create a peaceful, soothing setting for students to stop by for a quick, rejuvenating massage to calm their nerves and uplift their spirits! Free food and giveaways will help ensure students take some time to relax and unwind in the middle of their studies and exams. Would you like to organize a study break event at your school? Create your first group and event now. Spending a lot of time in overcrowded study spaces can easily frustrate students. Whether you're gearing up for your next exam or you're done studying but still feeling jittery, nervous energy can be very distracting. A fun and therapeutic way to release tension is simply working your stress out through your hands. Clay and Play-Doh stations provide an outlet for creativity and invigorating sensory stimulation. Keep those fingers moving: Board games and puzzles help students to shift focus away from homework and other daily demands and as such are also excellent stress reducers. Take a break from studying and have some relaxing fun with friends! Tactile play with colorful clay! Want to help your students squeeze out their frustrations with everyone's favorite childhood dough? Create a group and your first event now. When students are drowning in lecture notes and reading assignments, it can be easy to get overwhelmed. Practicing yoga, controlled breathing, and meditation is a great way to clear your mind and help with focus. Plus, yoga is one of the most popular and recommended forms of stress relief. It can be a powerful reminder not to let our stress get the best of us. Namasté. Group yoga and meditation will give students a fresh start, leaving them refreshed and confident! Find your tribe: Gather your students together for some stress-relieving and restorative yoga! Would you like to create a stress-relieving yoga event for your campus community? Start your first group and event now. Finals week inspiration: Set up a Pause for Paws event at your school - create your first group and event now to get started. Lastly, our favorite finals week stress reliever, a Stress-Free Zone featuring a huggable petting zoo! Invite students for a nice break from studying: snacks, refreshments, and of course, sweet therapy animals to pet. In fact, puppy rooms are gaining popularity across the country as a nearly cost-free way to reduce anxiety. Read more on how campus therapy dogs offer a helping paw to stressed students! Harness puppy power to lower stress levels during Finals Week! Want to organize a Puppy Petting Party at your school? Create a group and event now. As a student, how do you like to destress during midterms or finals week? As a student affairs professional, what are your favorite ways to engage and support students during this demanding time of year? Let us know in the comments section! Interested in bringing people together with event pages, RSVPs, advanced ticket sales, mobile check-in and attendee networking tools? Check out more on managing event registration, campus-wide events calendars, and mobile event apps with CampusGroups, or set up a complimentary demo for a quick tour of the platform.